(P1) The USA put a powerful weather satellite into space. It will change how we get weather information. The $1 billion GOES-R satellite will take photos five times faster than other satellites. Photos will be four times better quality. 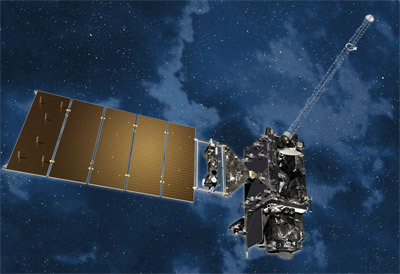 GOES-R will change weather forecasts. It is like the difference between black and white TV and HD TV. (P2) GOES-R will give real-time photos. They will make us safer. Airplanes will miss turbulence. GOES-R will zoom in on events like hurricanes, flooding and ash clouds. This will warn people about danger and save lives and homes. GOES-R will show the weather, as it looks right now, not the weather of 30 minutes ago. Do you follow the weather for your city? Why or why not? What is the weather like now in your city? Who put the satellite into outer space? What is the value of the GOES-R? The satellite will help to save __________ and ___________.